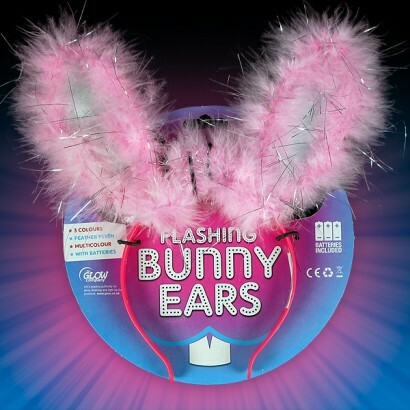 Trimmed with soft pink feathery plush and packed with red, green and blue LEDs, multi coloured LEDs chase through the centre of these adorable ears transforming the wearer into a super sweet psychedelic bunny! 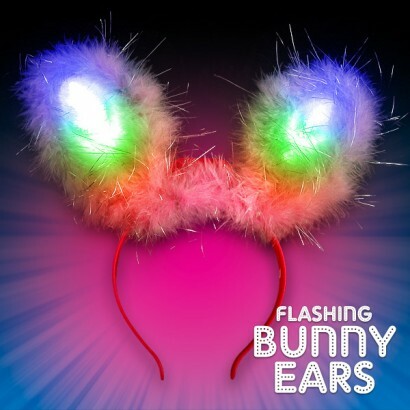 These adorable bunny ears are perfect for parties, fancy dress and the flexible headband makes them suitable for both kids and adults leaving your hands free to party! 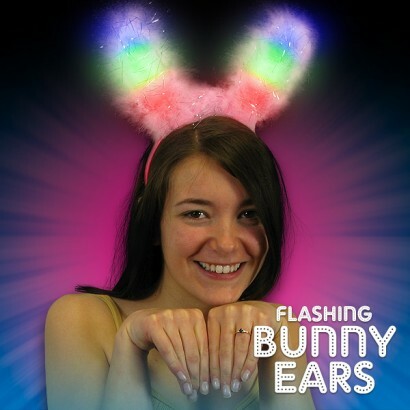 Each ear lights up in 3 flashing colours!